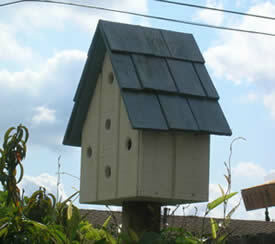 Get ready for spring with this free birdhouse woodworking plan. The picture of the finished project is linked to the picture below. A birdhouse can be a simple project and a great one to do with your kids. After building a fence I ended up with a good deal of 1x western red cedar stock. They were perfect parts to make about 5 birdhouses.